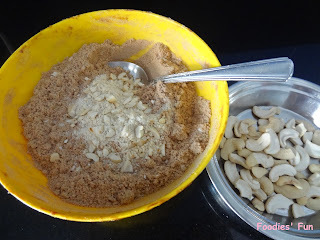 Break cashew nuts into small pieces and dry roast them. Let it cool. Break the Marie biscuits into four and grind them in a grinder. Put the powder in a bowl. 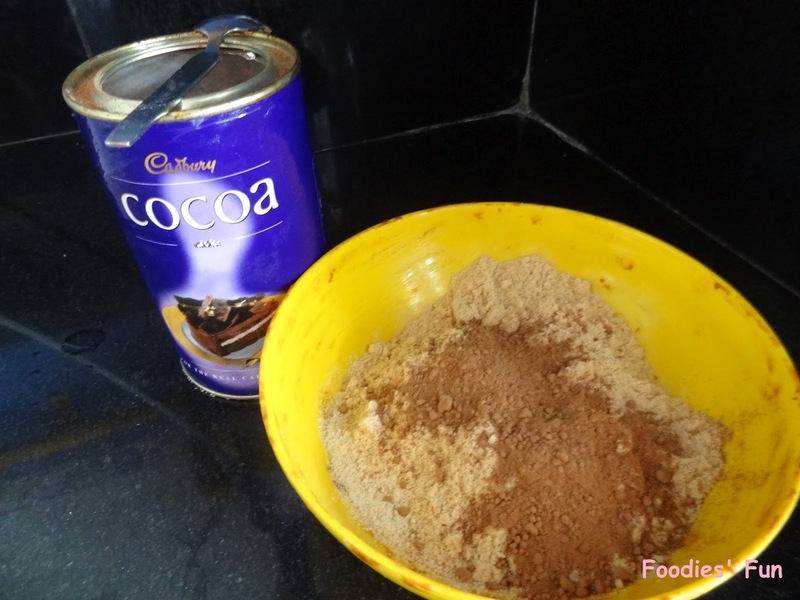 Add cocoa powder to it and mix well. 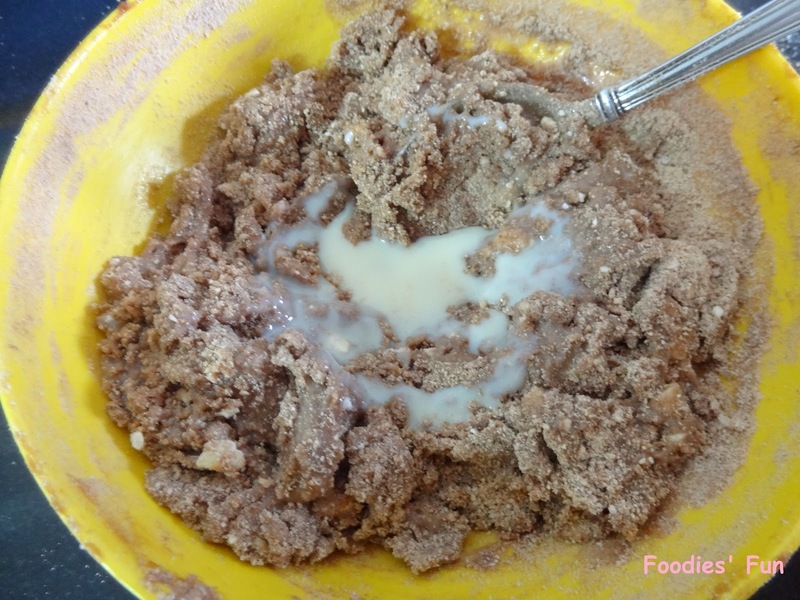 Add sugar and nuts to the mixture and mix them well. Now add the condensed milk. The mixture will become thick as you will mix the condensed milk. 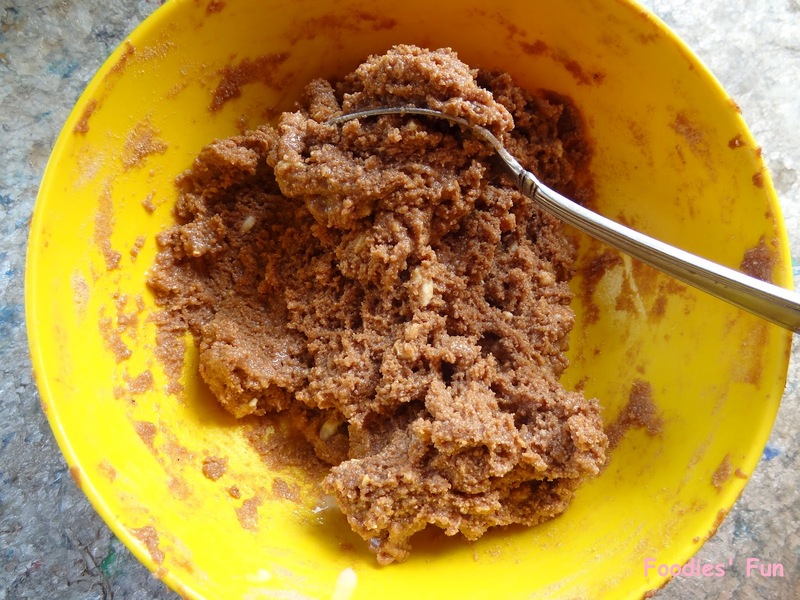 As you keep on stirring, the mixture will thicken. Take a plate and apply butter on it generously. 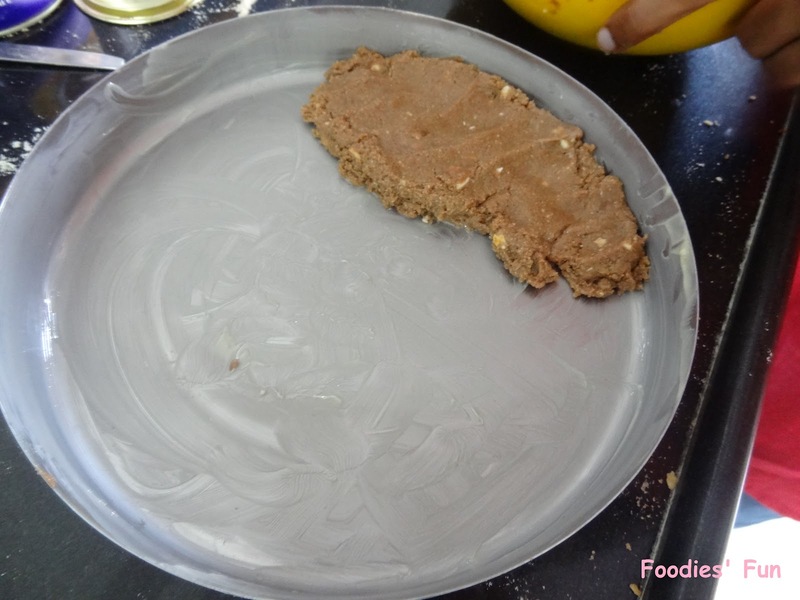 Spread the mixture on the plate uniformly and with the help of knife cut the paste into squares. 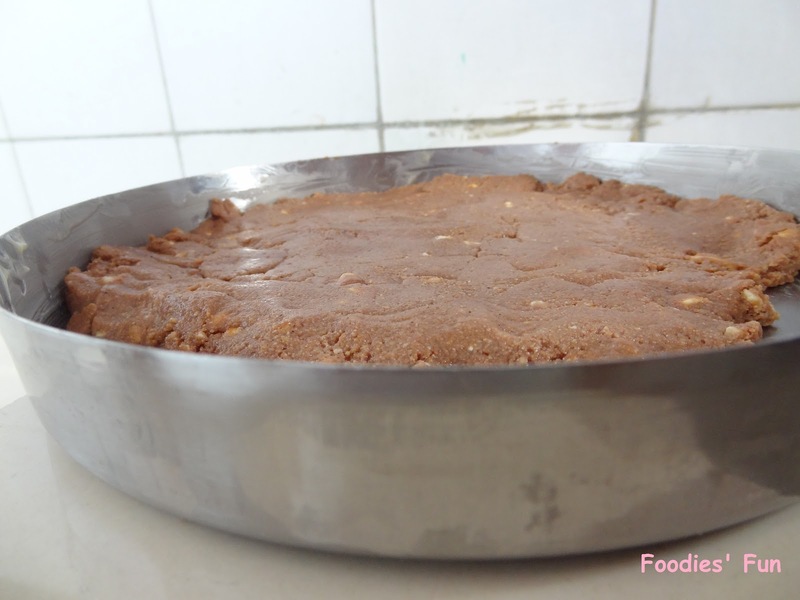 Refrigerate it for 4 hours and then take the squares out of the plate. It is simple easy make biscuit fudge... Try it out and share your experience with me. that looks delicious! 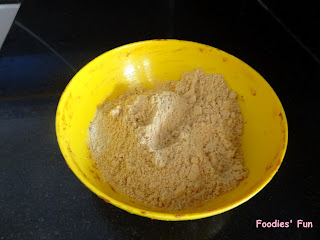 :) would you mind linking to my recipe page please? 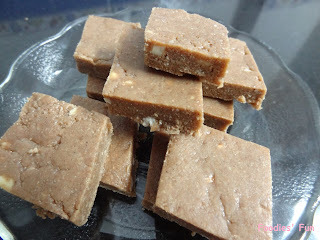 Hi Nagalakshmi have inserted a link to your recipes page on the right hand corner on my blog :)!! Nice recipe girls...I would like to share a variation here which can change the taste and texture to that of a brownie. With the same ingredients..In a pan melt butter and mix the condensed milk in this warm melting butter (on slow flame)...once these two are mixed add coacoa powder and mix well till dark chocolate like color is attained. remove from gas mix the nuts and biscuits and rest as ur recipe goes. Thank You for visiting the blog... Your feedback and suggestions are always welcome.. Simple theme. Theme images by chuwy. Powered by Blogger.